Ḥorvat ‘Uẓa (Khirbet el-‘Ayadiya) is situated at the foot of the southern slope of a steep hill rising between the northern and southern parts of the Acco Plain, 8 km east of Acco. The site is c. 400 m long and 200 m wide and extends over an area of c. 15 a. On its eastern side, the hill rising above the site is connected by a narrow ridge to Mount Gamal, which projects from the southwestern corner of the hills of Upper Galilee. On its western side is a small mound. A well in the center of the site was, until recently, in perennial use. The site has a long history of settlement, dating from the Neolithic period through the Middle Ages. Historical sources from the Middle Ages speak of a Frankish settlement at Ḥorvat ‘Uẓa during the time of the Crusader Kingdom of Jerusalem in the twelfth century CE. The site was then called Hadia (the Crusader pronunciation of the Arabic ‘Ayadiya). In a document from this period, it is referred to as the village of Gialterius Seagius. The site was known as Tell Ḥajal by Arab chroniclers who locate it next to Tell al-‘Ayadiya (Turon de Saladin), which at times served as Saladin’s headquarters during his battles with the Crusaders in 1189–1191, with some Muslim troops evidently stationed at Tell Ḥajal. It emerges from these sources that the site also contained non-military facilities, such as a market, and a supply of well water. ‘Ayadiya would be abandoned with the end of the fighting, and Ḥorvat ‘Uẓa is never again referred to as Tell Ḥajal. 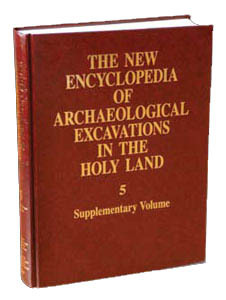 A Crusader source from 1254 mentions that the site, referred to as La Hadia, was later reoccupied. It remained in Crusader possession until 1283, when a peace treaty was signed between the Crusaders and the Mamelukes.